HomeNotificationSSC Release Notification for SSC CHSL 2017 Exam for 3259 vacancies, Know more..
SSC Release Notification for SSC CHSL 2017 Exam for 3259 vacancies, Know more..
SSC Released Notification for CHSL(+2 level) Exam 2017 for the recruitment of 3259 vacancies. Staff Selection Commission has released notification for Combined Higher Secondary Level (10+2) Examination, 2017.This year SSC will recruit total 3259 vacancies through this examination. Commission conduct CHSL exam every year for the recruitment of Lower Divisional Clerk/ Junior Secretariat Assistant, Postal Assistant/ Sorting Assistant and Data Entry Operator. This year CHSL Tier I exam scheduled in March 2018 and Tier II exam will be held in July 2018. Online application for the exam will be taken from November 18, 2017. 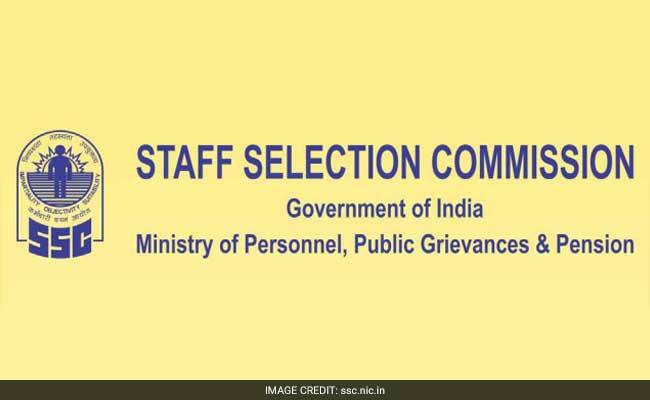 Candidate can apply from the official website of SSC at ssc.nic.in or from the link Given Below. Fee Payable for Online Application: ₹100 Only. SSC CHSL exam will be taken in 3 phases, Tier I, Tier II and Tier III. Tier I will be computer based containing questions from four subjects viz English language, general intelligence, quantitative aptitude and general awareness. Tier II exam will be pen & paper based discriptive type exam and will carry 200 marks.The Paper would comprise writing of an Essay of 200-250 words and Letter/ Application of approximately 150-200 words. Candidate have 60 minutes to prove their writing skills. In Tier II, minimum qualifing marks are 33%. Tier III will be of qualifying nature. It will comprise of skill test or typing test. The final merit of the successful candidates would be determined on the basis of total score obtained by them in Tier-I and Tier-II.